Tour one of the country’s largest urban historic districts this spring. 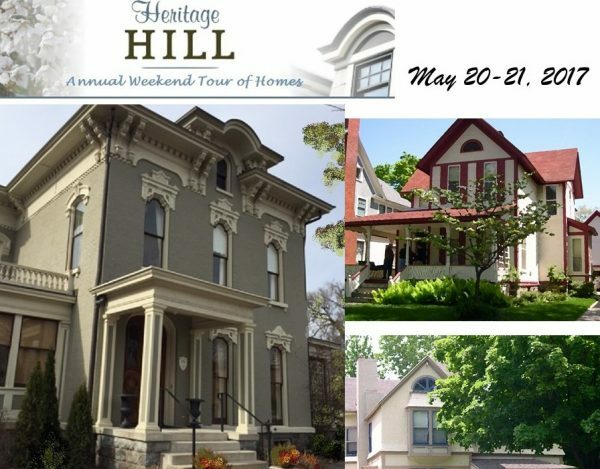 The 48th annual Heritage Hill Tour opens doors to 8 restored private houses and four historic public buildings on Saturday, May 20 from 11 am – 5 pm and Sunday, May 21 from 12 pm – 6 pm. Tour offers a rare glimpse inside stunning turn of the century homes owned by prominent early Grand Rapidians. Sites include an elegant prairie-style Frank Lloyd Wright, a quaint Gothic cottage, an Italianate beauty and a simple repurposed 1900 carriage house. Advance tickets are $18.00 and are available at the Heritage Hill Association office or at www.heritagehillweb.org. To obtain tickets by check, send to the Heritage Hill Association, 126 College SE, Grand Rapids, MI 49503. Tickets the weekend of the tour are $25.00. Free shuttle bus transportation for the tour is provided between featured properties. Heritage Hill, which was named by This Old House as one of the “Best Old House Neighborhoods” in the country, dates back to 1843. Its 1,300 homes represents Michigan’s finest collection of 19th and 20th century American architecture. Proceeds benefit the Heritage Hill Association which supports the historic preservation of this unique neighborhood and assists with land use planning, engaging community, and safety. Please call 616-459-8950 for more information.